Learn to treat over 100 physical and emotional ailments with remedies from Reiki Healing for Beginners. 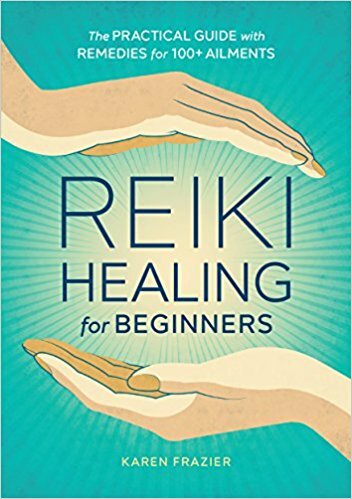 Reiki Healing for Beginners shows new reiki practitioners how to put theory into practice and start healing body, mind, and soul. This application-focused beginner’s handbook explores basic reiki techniques, and teaches you how to heal over 100 common emotional and physical ailments with reiki. Through clear, step-by-step instructions―fully illustrated―this practical guide is the perfect companion for new reiki practitioners who learn by doing. Take a hands-on approach to healing with over 100 remedies from Reiki Healing for Beginners. "I first met Karen Frazier at the 2015 Oregon Ghost Conference as we shared the stage during an author discussion panel. As she eloquently spoke, I was able to viscerally recognize her innately intuitive strengths, caring disposition and natural healing abilities. Karen has that one prerequisite needed in order to practice Reiki: the pure, heartfelt desire to establish soulful connections and healing that give way to positive, life-changing moments. Experiencing Celiac disease and the intestinal pain that often accompanies it, Karen has a deep understanding of how Reiki allows for the all-encompassing healing of the body, mind and spirit. 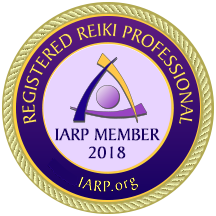 Well-written and meticulously researched, this book gives you the tools to get started with and become attuned to Reiki in addition to offering information on how to use it so positive healing can infiltrate every core of your existence." “I have taken classes from Karen on a variety of subjects including First and Second Degree Reiki. I try to practice it daily. It feels wonderful to know I can be a part of a connection to healing. Karen is a wealth of information and a fabulous instructor and author. The most important thing I've learned from Karen is... It's ok. Whatever it is, it's ok. Can't meditate everyday? Its ok. Can't find your groove? It's ok, you will. Don’t know where to direct the Reiki? It’s okay - it will flow where it needs. I love Karen and her teachings, and this book offers the best of what she has to share. I have so much more I want to know and learn. I’m forever a repeat reader and student."